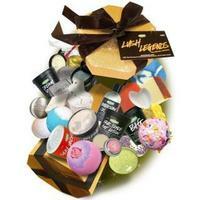 LUSH Cosmetics offers Buy One Get One Free Or 50% off on Select Body Care Items. Shipping is based on the total weight of the order. 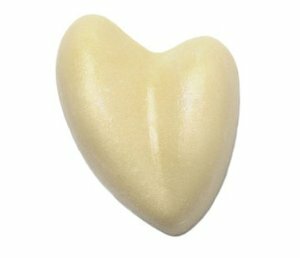 LUSH Cosmetics offers the Shimmy Shimmy Solid Body Tint for $7.95. 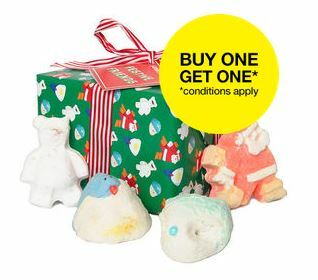 LUSH Cosmetics offers Buy One Get One Free on Select Body Care Items. 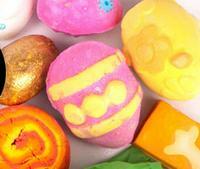 LUSH Cosmetics offers the Spring Eggcellent Easter Items which were just lanched on March 24th. 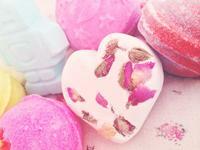 LUSH Cosmetics offers Buy One Get One Free on Handmade Cosmetics. Sale starts 12/26 9:00AM EST. 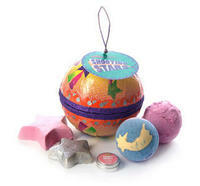 LUSH Cosmetics offers Free $10 LUSH E-gift with Any $100 Purchase or More. No code needed. Card will be sent to you by email, not redeemed in 2012.